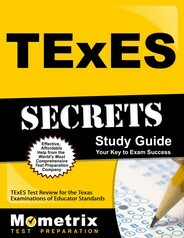 The TExES Mathematics 7-12 exam is an important step toward becoming a math teacher in the state of Texas. The test measures a candidate’s command of number concepts, algebra, geometry, and other important mathematic fields at the 7-12 grade levels. Candidates will also be tested on their understanding of how to teach these subjects to students at this age level. Can I Bring a Calculator on Test Day? You will be allowed to bring your own graphing calculator to use during the exam. However, you need to make sure that your calculator is one of the approved models. You can find a list of acceptable graphing calculators on the Texas Educator Certification Exam Program website or you can call the testing center to ask. No calculator is provided for you so it’s important that you bring your own and that you make sure you are bringing an approved model. What Subjects Are Included on the Test? Relationships among probability theory, sampling, and statistical inference and how statistical inference is used in making and evaluating predictions. You will have four hours and 45 minutes total to complete the entire exam. That means you’ll have a little under three minutes for each question. Use your time wisely. Try to get through the simpler problems as quickly as you can (without rushing) so that you can afford to spend more than three minutes on the more difficult questions. What Is the Minimum Passing Score for the Test? The exam is given a scaled score ranging from 100 to 300. You need to get at least 240 in order to pass. Official score reports are posted within seven days of the date you took your exam. Once you receive your score, you can schedule a retake appointment if you did not pass. However, your next appointment must be at least 45 days after your previous appointment. And you will need to pay the full exam fee again for each retake. So it’s best to make sure you have enough time to prepare before your first attempt to avoid the need for retakes. How Much Time Do I Need to Spend Studying for the TExES Mathematics 7-12 Exam? No matter how strong your math skills are, you should still devote at least two weeks to studying for the test. In those two weeks, you’ll want to make time to review and practice solving the kind of problems that are likely to be on the TExES Mathematics 7-12 exam. The right study aids can make all the difference. The Mometrix Study Guide, for example, will provide a comprehensive review of all the formulas, processes, and techniques that you need to know. You’ll get easy to follow explanations along with clear examples to help you really understand the material. Then, you’ll get practice questions that come with their own explanations so that you’ll even be able to learn and improve from the questions you get wrong. 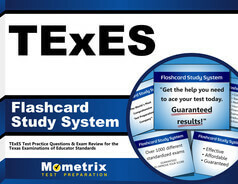 Combine that with a set of Mometrix Flashcards for additional practice questions and a great way to review the same material in a more engaging way. You can quiz yourself or have your friends quiz. You can also make up study games using the cards or just throw them in your bag and take them with you for quick study sessions throughout the day.